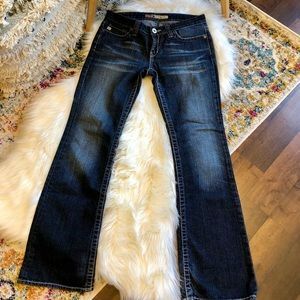 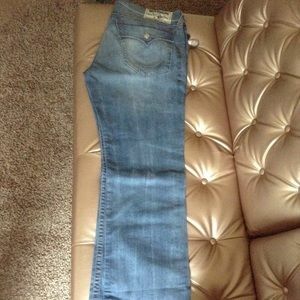 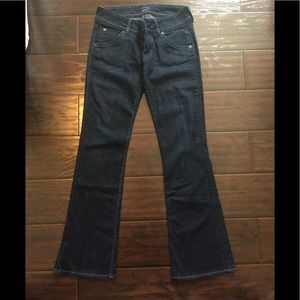 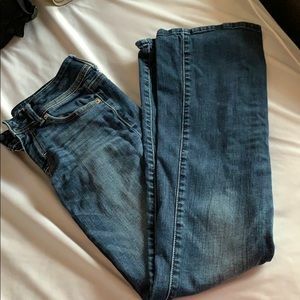 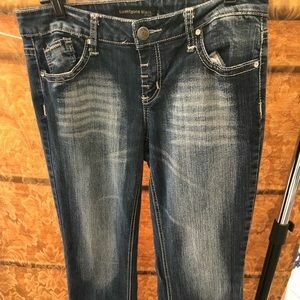 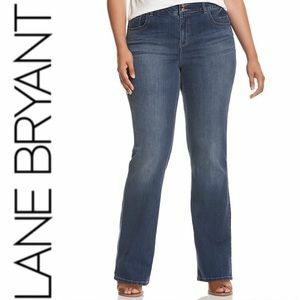 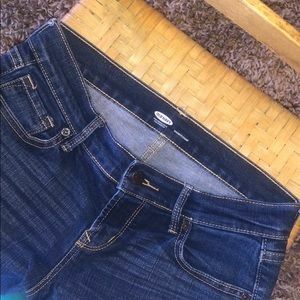 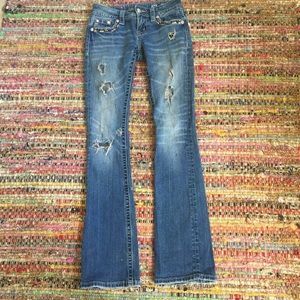 In the wash boot cut jeans. 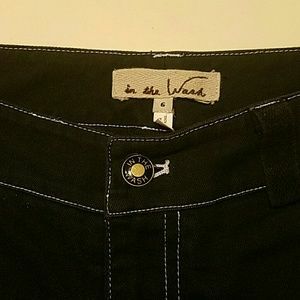 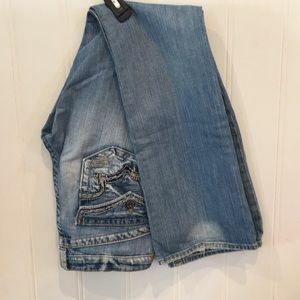 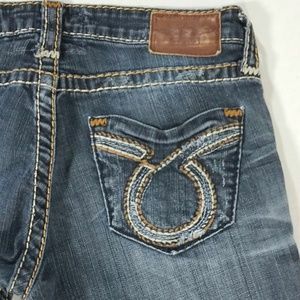 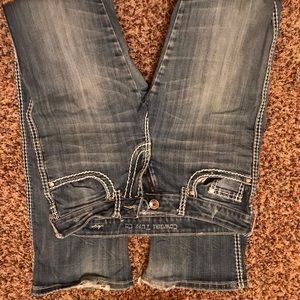 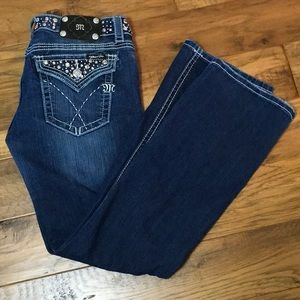 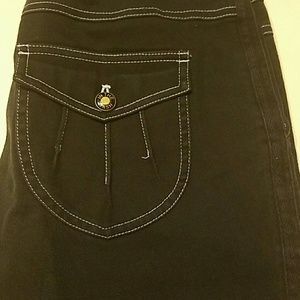 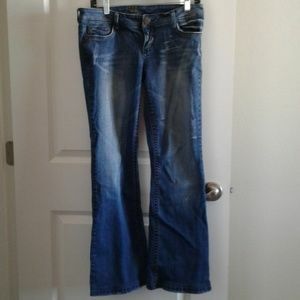 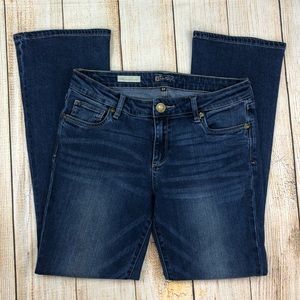 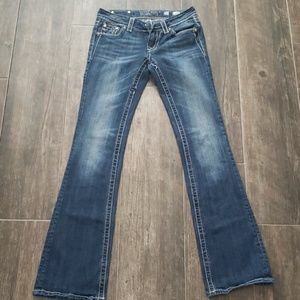 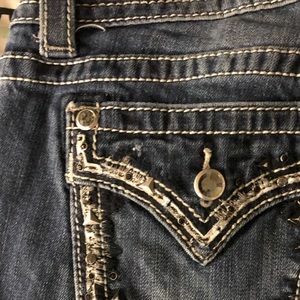 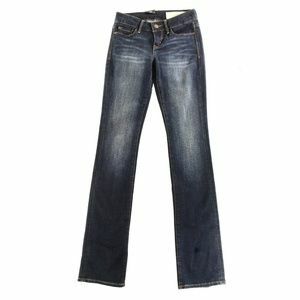 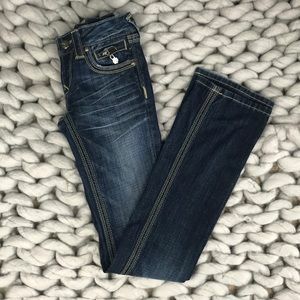 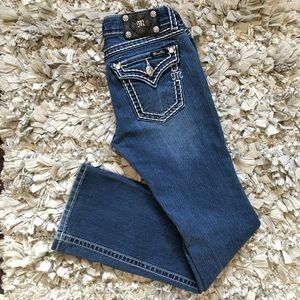 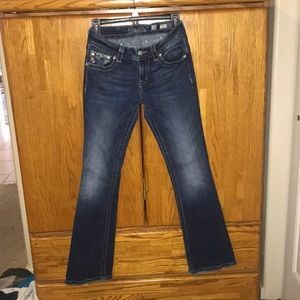 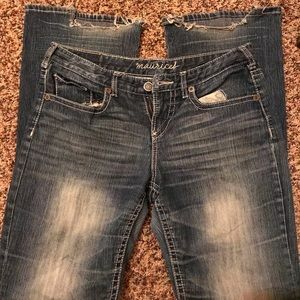 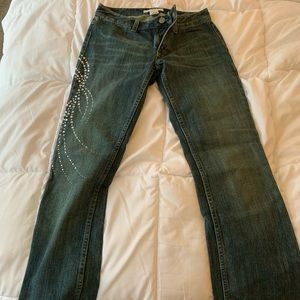 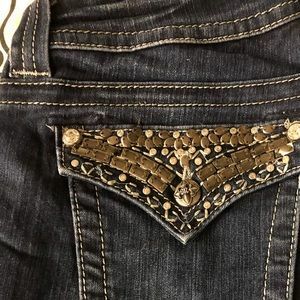 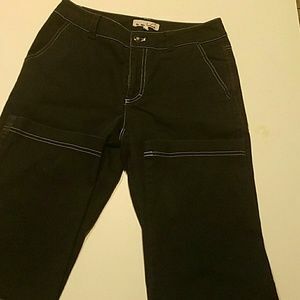 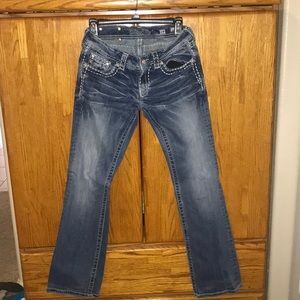 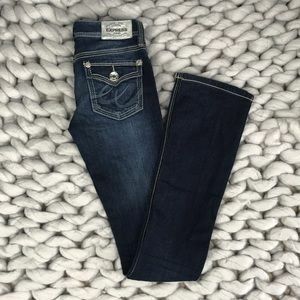 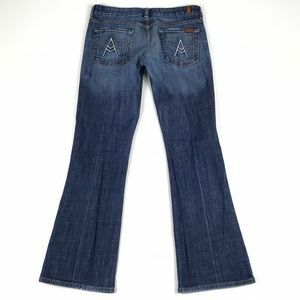 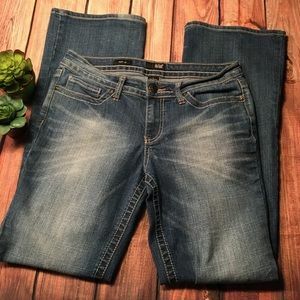 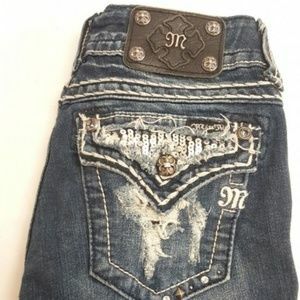 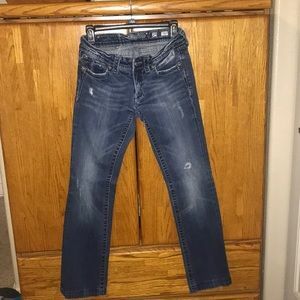 These jeans are black with a beautiful white stitching and buttons on back pockets. 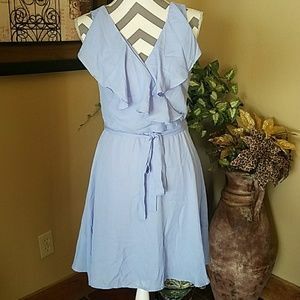 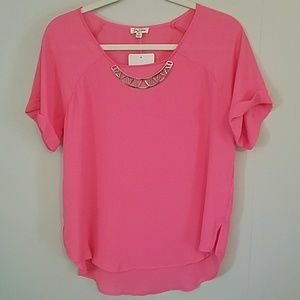 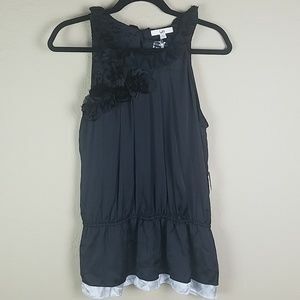 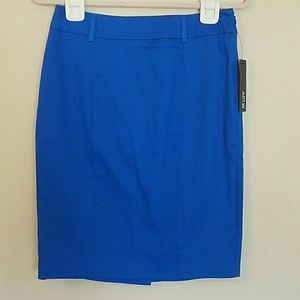 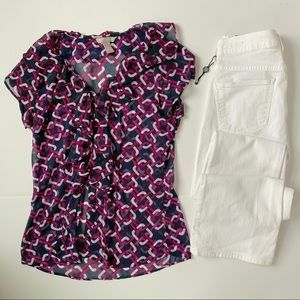 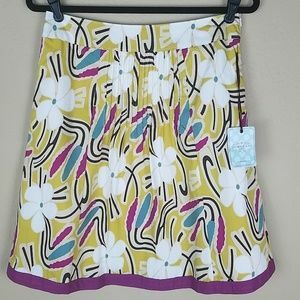 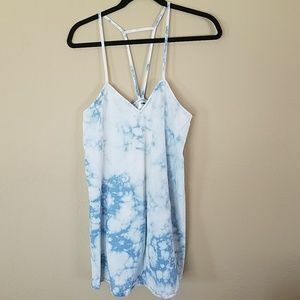 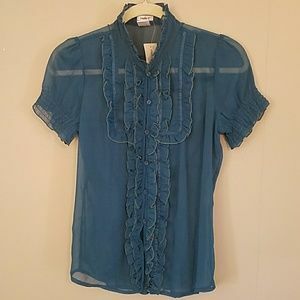 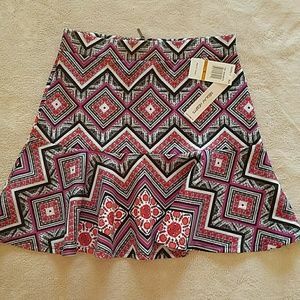 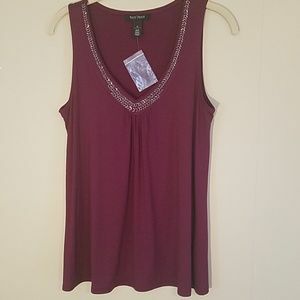 61% cotton 31% polyester and 2 % spandex.